The even-better news is that Josh's brother Jacob Kornbluth, shown below, right (with Robert Reich, who has a juicy little role in the film), is also back to direct and take the movie from mere monologue (where it begins) into dramatic reenactment, fantasy and frolic -- with the accent clearly on the latter. If you've seen Josh's earlier work, you'll have a clearer idea of the unusual family from which he came and how he grew into the fellow he now is. 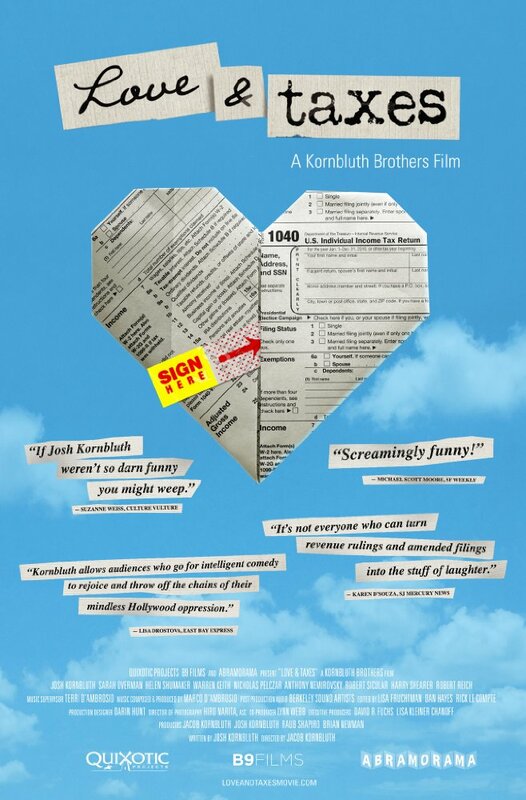 Taken on its own terms, however, Love & Taxes should give you enough of this that you'll follow along mostly gleefully, as our hero (I use that word loosely) tries to come to terms with life, love and paying taxes. 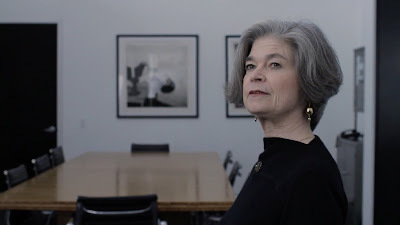 To that end, he must interact with financial accountants, trustworthy and not so (the smartest/scariest of these is brought to fine life in a whip-smart performance by Helen Shumaker, below). As success of a sort is bestowed upon Josh (the actor/writer is shown below) and his fortune appears to rise, he also discovers groupies (one of which becomes the love of his life, two photos below), Hollywood, the "option," and lots more. 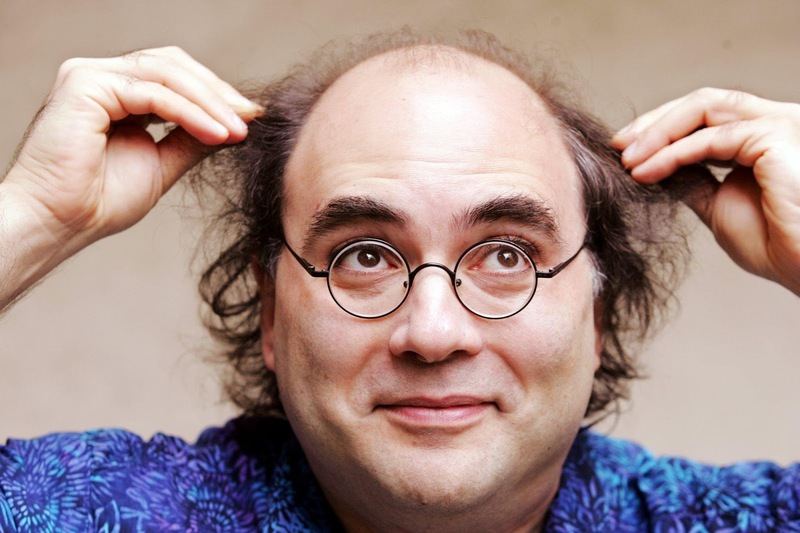 As writer and performer, Josh Kornbluth is pretty much one-of-a-kind -- a chubby, cherubic, Jewish comic with a great gift for self-deprecating humor. He and his movie slowly pull you in and before you know it, you're rooting for the guy hook, line and sinker -- even as his foibles and foolishness keep threatening to derail his life. He is both "Everyman" and a bizarre mixture of "Schmuck" and "Mensch." The combination is endearing and funny. Director Kornbluth fills his film with very smart visuals that keep the tale bubbling along via some lovely and charming fake backdrops that, while serving the tiny budget well, also add greatly to the movie's endearing qualities. 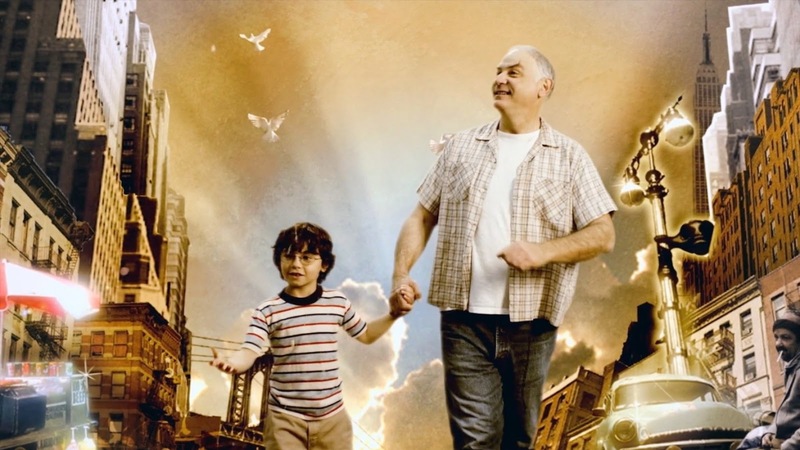 Oddly enough, however -- given the Kornbluth brothers' background as red-diaper babies of a staunchly American Communist family (dad, at least) -- the movie is never even glancingly political. Love & Taxes comes out four-square for paying your taxes because "what would happen if everybody refused to pay," as we're told at least a couple of times during the course of the film. But it says this without giving a thought to where those taxes go -- into the trough of greedy politicians who resolutely refuse to honor the wishes and/or needs of their constituents but instead do everything for the wealthy, powerful and corporate so that their re-election is thus ensured. Granted, the movie would be quite another kettle of fish if any of this were acknowledged. Yes, the Kornbluth siblings' early life may have "cured" them of ever wanting to be "political" again. 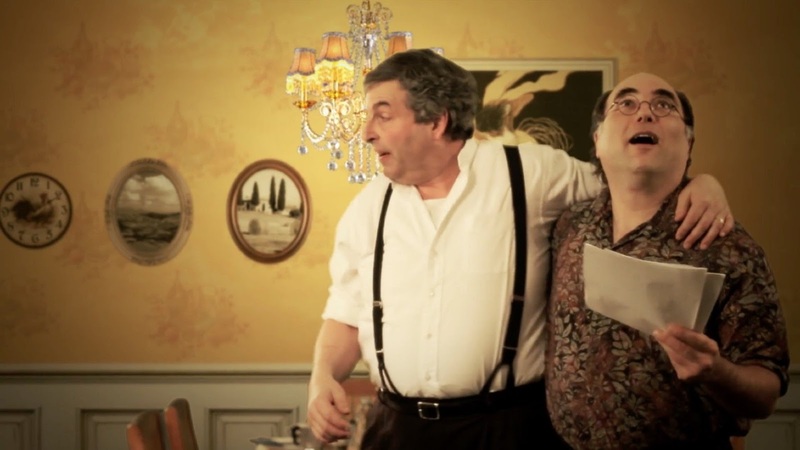 But I wonder what film might have emerged if some real politics were included into this mix of love and laughter and happy ending? 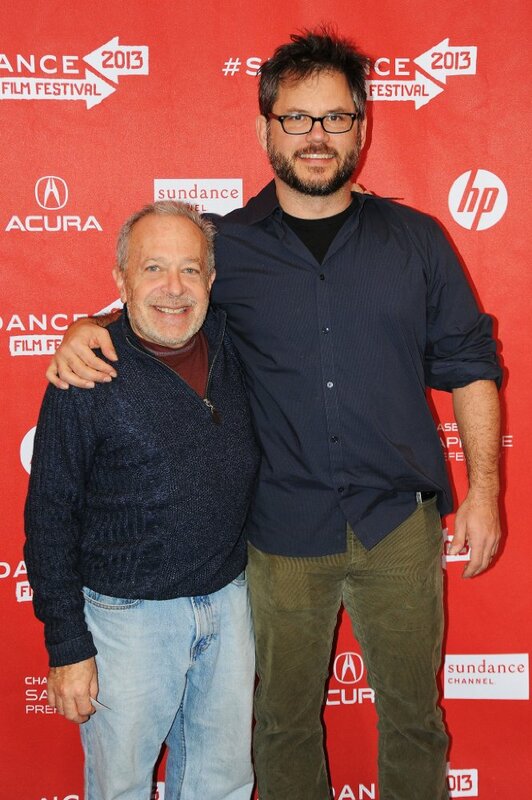 The Kornbluths' dad, rather than "flying away," as Josh tells us, might have stuck around and even applauded. 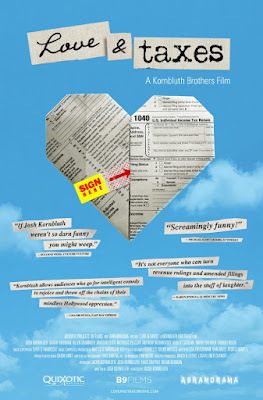 Light, fluffy, tasty and enjoyable (and about as nourishing as Cool Whip), Love & Taxes -- via Abramorama and running a nicely-paced 90 minutes -- opens tomorrow, Friday, March 3, in New York City at the Landmark Sunshine Cinema, and on Friday, March 10, in the L.A. area at Laemmle's Noho 7 and the Art Theater in Long Beach. To see all currently scheduled playdates, with cities and theaters listed, click here.